I love the Indie Megabooth at PAX, since they come up with so many fresh and interesting ideas that the big developers seem reluctant or incapable of coming up with. They are unafraid to challenge our expectations and show off brilliant ideas. Such is the case with Extreme Exorcism. I got the chance to demo it and chat with Andy Wallace, the lead programmer and designer. 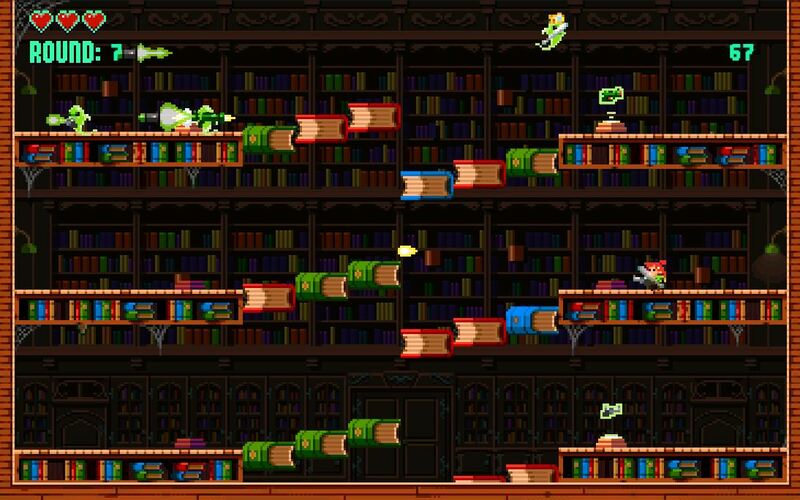 The game features beautiful retro graphics and compelling sounds. The basic premise is, after you kill off a foe, your ghosts come back and haunt you. Every ghost copies your moves, and things get very complicated very quickly. It’s much harder to predict their patterns than you would think, unless you have an eidetic memory of every little thing you did. To aid you in your ghostbusting, you will be able to select from 20 completely different weapons. These range from swords and guns to more exotic fare, such as will o the wisp flames, boomerangs and more. Better yet, you can select from many avatars, though they don’t seem to have any different abilities. To keep things frantic, each time you defeat a ghost, you lose your weapon, and need to race to find another that randomly pops up. And though you can wield multiple weapons at a time, if you do, so can your ghosts. The game thus far is a lot of fun, with tons of levels to challenge. It is made better with friends, as you can compete against each other and your ghosts will fight with you. 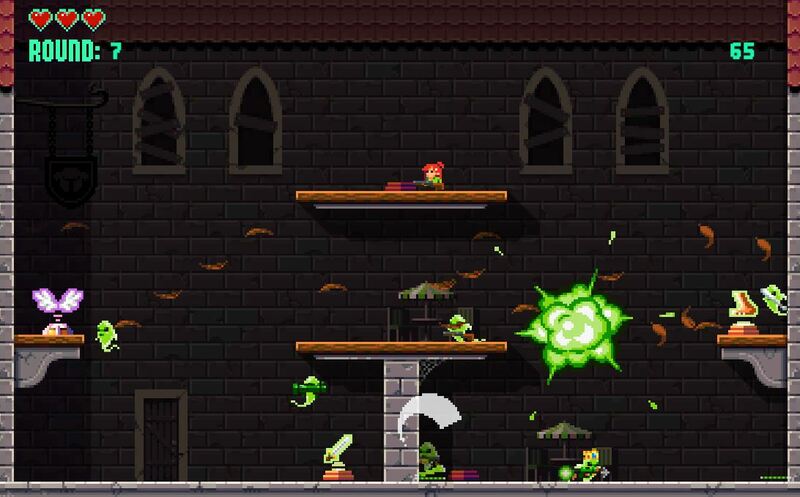 As of now, Extreme Exorcism is slated to hit PC, with potential console releases hopefully later. I could see it doing quite well on Vita and 3DS, as well. If you like challenging retro romps, you need to give this game a look.